Just hours after qualifying for the Indianapolis 500 on Sunday, pole sitter Scott Dixon and retired three-time Indy 500 winner Dario Franchitti were robbed at gunpoint at an Indianapolis Taco Bell, local stations report. What two of the world’s top drivers were doing at a Taco Bell is unclear. An Indianapolis Metropolitan Police Department report cited by local stations CBS 4 and FOX 59 claims that two teenagers robbed Franchitti, Dixon and wife Emma Davies Dixon at around 10 p.m. Sunday. Jalopnik could not find the cited report in a search of the department’s online records base. 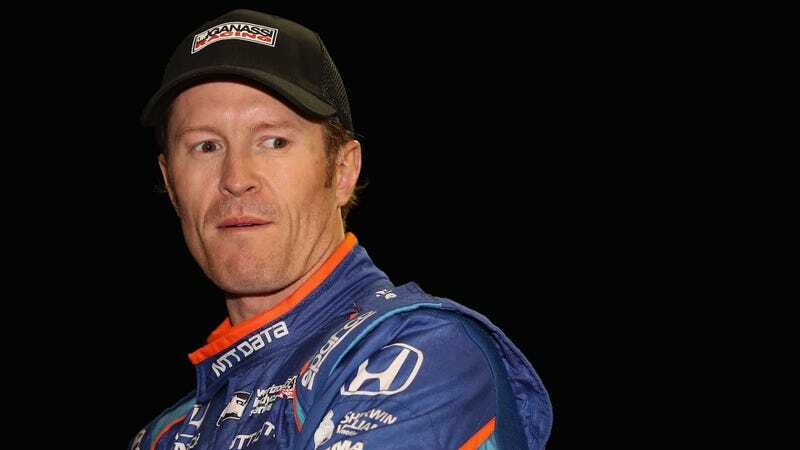 The stations cite the report as saying Dixon, an IndyCar driver for Chip Ganassi Racing, was driving a company-owned Honda at the time of the robbery. The suspects, listed as 14 and 15 years old by the cited police report, allegedly robbed the group before fleeing on foot. Neither of the outlets reported what the teenagers might have taken from the group, but both said that the suspects were later arrested. A day later, Dixon tweeted about “what an intense day” Sunday was on Monday morning, though the photo accompanying it makes it seem like he was talking about the pole—not the robbery.